When the light fades and the moon rises over Innistrad, humanity becomes the universal prey. Packs of werewolves are drawn out by the moon, their humanity washed away by animal rage. Vampire families bare their fangs at the scent of human blood. Hordes of walking dead lurch across the manors and moors, driven by an innate hunger for the living. Alchemically created abominations twitch to life in alchemists' laboratories. Geists haunt the huddled human towns and terrify travelers along the dark crossways in between. From Innistrad's depths, powerful demons and impish devils plot humanity's downfall. The humans of Innistrad have done their best to fight back. They form torch-wielding mobs to cleanse the abominations with fire. They train specialized holy warriors called cathars to strike back against the supernatural horrors. Most of all, they brandish the power of the Church of Avacyn. The Church is named for its leader, the powerful archangel Avacyn who was created by the Planeswalker Sorin Markov to safeguard humanity and allow them to coexist with their predators. Innistrad's last few years have been tumultuous. First the demon Griselbrand trapped Avacyn in the Helvault with him, weakening the strength of the rites that invoked her and lowering humanity's defenses against the horrors of the night. When the situation was at its worst, with zombie armies marching on the high city of Thraben, the Helvault was sundered and Avacyn was released. But no sooner had Avacyn restored some measure of peace and balance to the plane than a new threat began to spin Innistrad toward its doom. From his remote laboratory in Nephalia, Ludevic has established himself as the most prolific practitioner of a terrifying tradition: cobbling together monsters from the tissues of the dead. What makes Ludevic unique is that his fascination goes beyond the mysteries of flesh and life—he's captivated by the nuances of the mind. He derives great pleasure from studying the horror his creations inspire. Since creating Kraum, the necro-alchemist Ludevic has spent almost a decade trying to replicate that singular work of genius. Kraum flies on galvanic membranes that issue bursts of static pops, which accompany the endless cackling of one of its hideous heads. A regular sight above the rooftops of Selhoff, Kraum's terrifying presence has made Ludevic a wanted man. Sorin Markov saw that the vampires' wild and irresponsible feeding would quickly lead to the extinction of humans on Innistrad. To prevent this, he created the archangel Avacyn. Fierce faith in her protection provided much-needed balance against the dark forces of the plane. 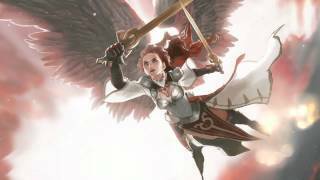 The angel Bruna is the leader of Flight Alabaster, a group of angels centered in Thraben who maintain the archangel Avacyn's protective wards on the cities and holy sites throughout Innistrad. An expert in ghoulcalling, the reanimation of the dead into unhallowed ghouls, Gisa delights in battling with and against her brother Geralf. Together their antics bring mayhem throughout the moors and Innistrad's Gavony province. The angel Gisela is the leader of Flight Goldnight, an army of soldier-angels in Nephalia. After Avacyn's return from the Helvault, she was tasked with continuing the crusade against necromancers and their legions of undead, which she embraced with fervor and devotion. In Nephalia, the lost and the mad turn their devotion to the inscrutable waters and to this massive horror that lurks in their lightless depths. One of four demons who made a bargain with Liliana Vess, Griselbrand sought to end the meddling of Avacyn by challenging her to combat. After dueling for days, Avacyn finally defeated Griselbrand. However, while banishing him to the Helvault, Avacyn was dragged down, too, and imprisoned. This head of the church witnessed Avacyn's duel with Griselbrand, resulting in the angel’s entrapment. In Avacyn's absence, the church's wards faded, and belief in the church began to weaken. Mikaeus chose not to reveal what happened to Avacyn, hoping to preserve the last shreds of faith. Olivia Voldaren is the progenitor of the vampiric Voldaren bloodline. A famous eccentric, and bon-vivant, she is known for lavish and elaborate parties. Despite her extravagance, she and her bloodline still remain aloof from the rest of Innistrad, choosing to reside on its far borders. Geralf is an expert skaberen (or "stitcher"), an alchemist who forms artificial life from body parts, magic, and metal. He is the creator of the zombie Grimgrin, so named to honor his rival and dear sister, Gisa. Valuing Thraben safety over all else, Thalia led her finest soldiers to defend the Helvault from Liliana Vess. In the end, when forced to save either the Helvault or her warriors, Thalia chose her men. The Helvault then split asunder, releasing every bound demons, as well as Avacyn, the archangel. Even the approach of Emrakul pressed on the minds of Innistrad's inhabitants, straining their sanity, and her full manifestation amplified the effect. Upon her arrival, she began warping the creatures of Innistrad in her own monstrous image. Hanweir had once been the breadbasket of Gavony, but its fields became black and blighted. Their citizens united, and Hanweir stood as one against the horror of a world gone mad. As Emrakul drifted over Innistrad, flesh melted and twisted as the doomed of Hanweir screamed in agony. Soldier and peasant, shopkeeper and council elder—they all fused together, body and soul, into one writhing, protoplasmic mass. As one, every part of Hanweir became a single incomprehensible entity, a part of the world's madness. Gisela and Bruna, the two archangels who joined Avacyn in her madness, fused together into a huge Eldrazi monstrosity with two heads, four wings, and a tangled mass of limbs resembling the tentacles of Emrakul herself. Together, they were known as "Brisela, Voice of Nightmares." At the heart of Gavony is Thraben, safe haven for those in need of healing and a respite from Innistrad's dark forces. The human residents here either work to ensure the safety of their village or join the Avacyn church to become cathars, who travel the providences protecting humanity from danger. The thick Ulvenwald Forest isolates these quaint villages from neighboring provinces. The Krallenhorde howlpack is ever present, though secret, and includes many of the town’s neighbors in its murderous ranks. Between the isolation and constant danger, most townsfolk here are wary of outsiders. In Stensia's higher altitude, the rocky soil rules out farming. Instead, humans become shepherds and raise large families. A superstitious people content to survive day to day, the Stensia mentally ignore the fact that every passageway out of Stensia is constantly monitored by the vampire families. 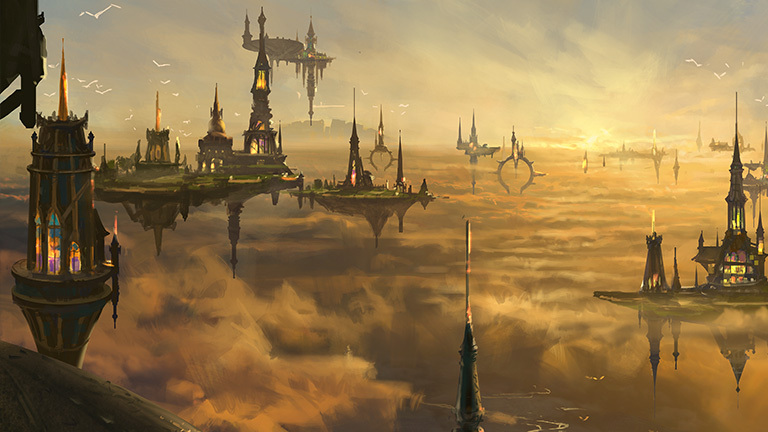 The coastal cities of Nephalia draw many merchants. They also attract ghoulcallers and skaberen, who practice their craft away from prying neighbors or the church. While not as populated as Thraben, Nephalia's cities are denser, filled with those who, for one reason or another, prefer anonymity. Stensia is controlled by four major vampire families: Markov, Voldaren, Falkenrath, and Stromkirk. Though their abilities may differ, they all have enhanced strength, eternal youth, the ability to dampen noise, and prominent canines—often the last terrifying image seen by many an unwary traveler. Werewolves are created in moments of intense despair, when a human's soul becomes intertwined with the wild essence of nature—after which, both sides are locked in a struggle for control. 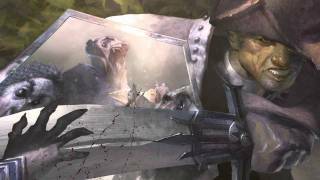 With the archangel Avacyn's release, werewolves have now become wolfir, permanent wolf protectors of humanity. Unhallowed are zombies that ghoulcallers harvest from the many fengrafs, seagrafs, or diregrafs around Innistrad. Skaabs are twisted, pieced-together corpses that the skaberen have reanimated through necroalchemy. Both are vile desecrations of the Blessed Sleep expected by humans when they die. Geists are spirits of those who have passed, yet cannot find peace in the Blessed Sleep. Some are guardians, but most remain out of malice, revenge, and regret. Able to exist as corporeal and incorporeal beings, geists will seek vengeance or wander until the Church of Avacyn guides them to rest. When Avacyn returned, so did her angels, who had gone off searching for their leader. Flight Goldnight protects the churches and towns with wards; Flight Alabaster maintains the fighting force and trains the cathars; and Flight of Herons scours the land for danger or growing threats. As joyous as Avacyn's release from the Helvault was, it also meant the release of every single twisted demon that Avacyn had ever trapped. Power may be returning to the Church of Avacyn, but old demons are planning new heights of vulgar depravity and carnage to unleash upon humanity. 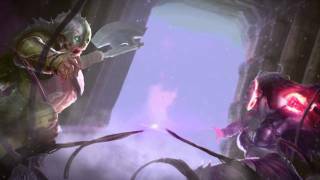 Beautiful, cunning, and ambitious to a fault, Liliana Vess is quietly becoming one of the Multiverse’s most magnetic dangers. She wields the blackest of magic: necromancy. This beast summoner was cursed by fellow planewalker Liliana Vess, tainting his green spells with black. Now he’s a predator on the hunt for brutal revenge. Lacking talent and discipline as a necromancy student, Tibalt was consumed with hatred, isolation, and failure. Now half devil, his pain is his power. On Innistrad, every creature hides a darker aspect. Hedonistic vampires stalk the shadows to quench their thirst, and the full moon transforms the simple into the savage. Vampires, werewolves, and zombies plague Innistrad. Forces of good valiantly fight to hold back the threat, but in this world of dark magic, only the most powerful will survive. On the plane of Innistrad, humanity is beset on all sides. Horrors stalk in the shadows. Terrors scratch at doors in the night. Only grim determination and staunch faith in their guardian archangel, Avacyn, keep them alive in this nightmarish realm. But odd things are afoot: the forces that had protected them have been twisted into something dark and strange.